We are expecting Google to announce their new Motorola X Phone at their Google I/O developer conference in May, and now it would appear we may have a possible render of the handset. The Motorola X Phone is rumored to come with a Qualcomm Snapdragon 800 processor and will apparently features a 4.7 inch HD display with a resolution of 1280 x 768 pixels. 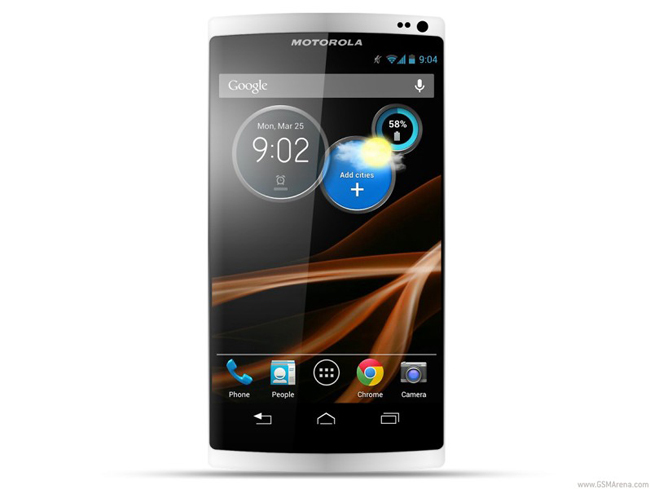 Other rumored specifications on the Motorola X Phone include a 4,000 mAh battery, and the device is also rumored to be IP57 certified, which means the device will be resistant to dust and water. We have no idea whether or not this is an official render from Google on their new Motorola X Phone, as soon as we get some more information on the device we will let you guys know.